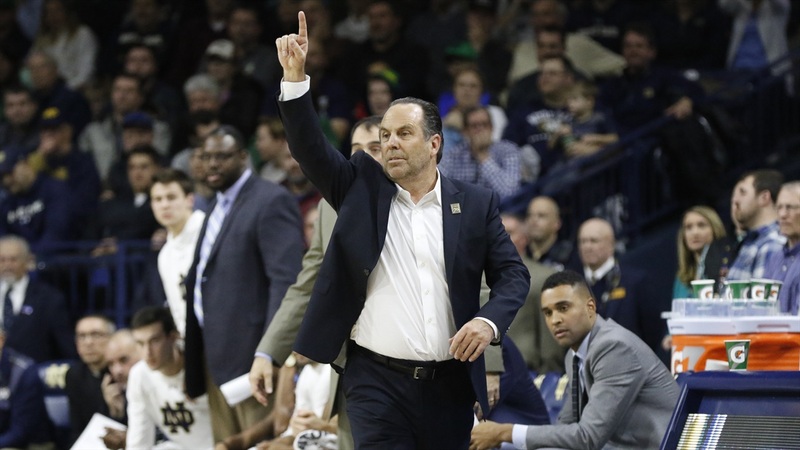 Notre Dame head coach Mike Brey discussed the 76-74 win over Illinois on Tuesday night. “For our group, that’s a fabulous win. They are a hard system to play against, and they grind you. You can’t run any offense because they get out in passing lanes and physically guard you. It wears on you. Great win for us. “It was a maybe a good style to play against. There was a big guy to guard, and he could lay back in the hole. He changes stuff. I thought it was interesting to watch it develop before our own eyes. Our team got so confident in him they were throwing it to him in the post. That’s new. “He’s been great with that. He’s understood rebound, defend and block shots. He’s hard to play against in practice. Ryan Humphrey has done a fabulous job mentoring him. We’ve done more with him before practice and making the game more important. “The body was broken, and he hadn’t played much. There wasn’t much confidence. For a year, it was great to get his body in shape and stronger. I know people won’t believe it, but there’s 20 pounds on him. He’s never going to carry a whole lot of weight, but his frame of mind is good. He’s not gotten less than a B academically. “We played great defense. We got nine straight stop to get it to double-digits, and then here they come. You have to defend the shot at the end. We played hard and grinded against a hard style of play.